Sorry this is a little late. I have been fishing everyday for a week and I have just cleared my wind-burnt eyes enough to see the keyboard. Fishing has gone from very good to so-so over the course of the past few days. 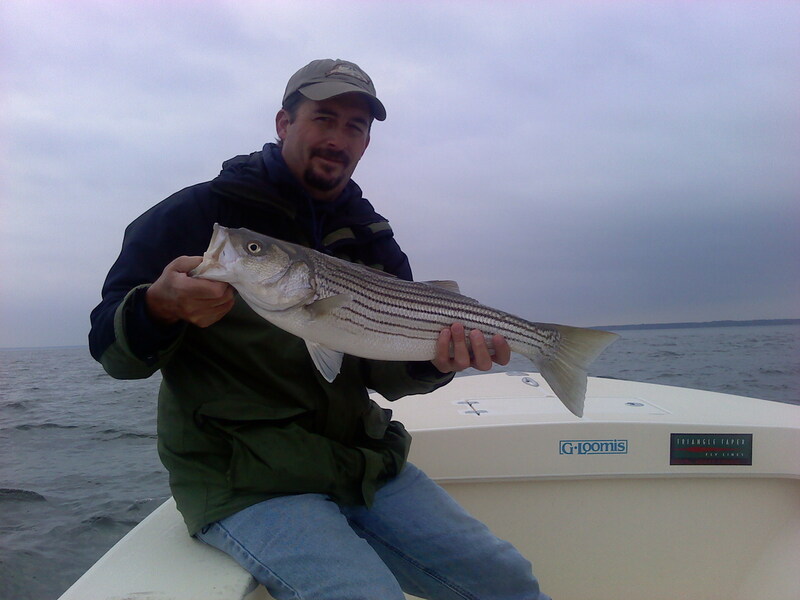 While the numbers may have dwindled a bit, the grade of stripers has been good. 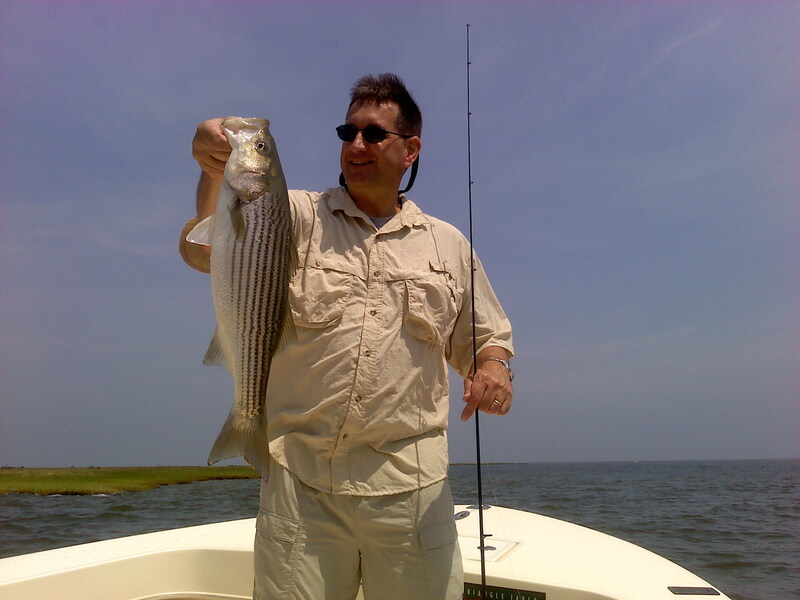 I have been fishing Tangier Sound out of Crisfield for the most part. 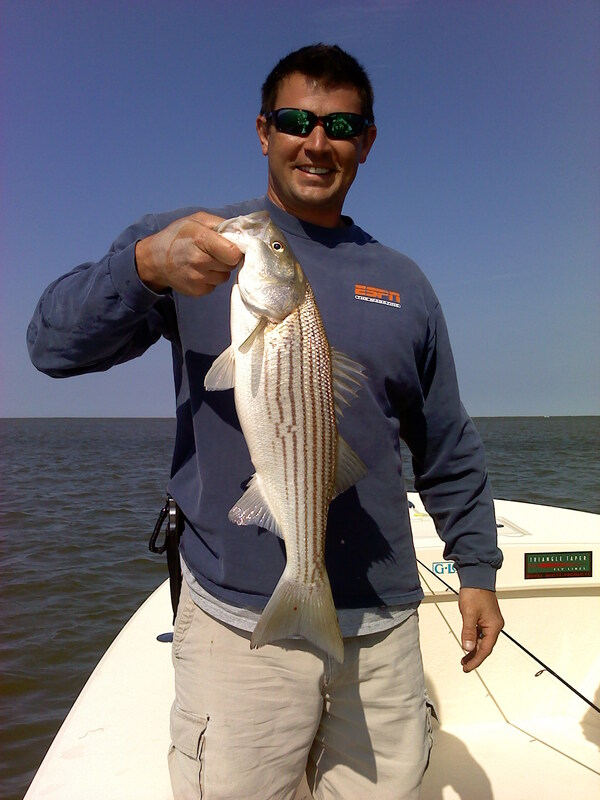 Smith and Tangier Island have been seeing the most of my boat while casting for school stripers in the shallows. 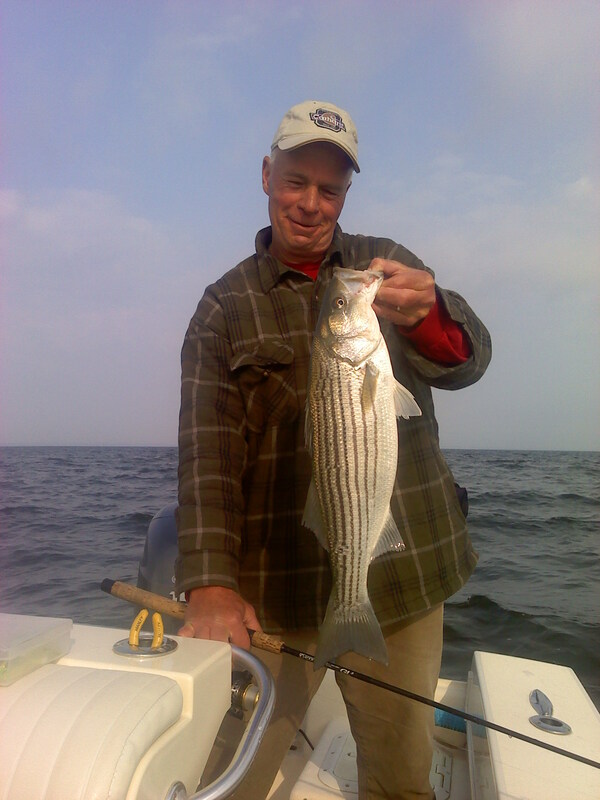 I love this time of the year because the water is very clear (before the algae blooms of summer) and you can often see the rockfish strike your lure or fly as it is retrieved past the underwater stumps, or over the eel grass beds. We have had fish most trips to 25 inches, with the biggest of the week a 26 1/2 inch beauty weighing in at seven pounds. 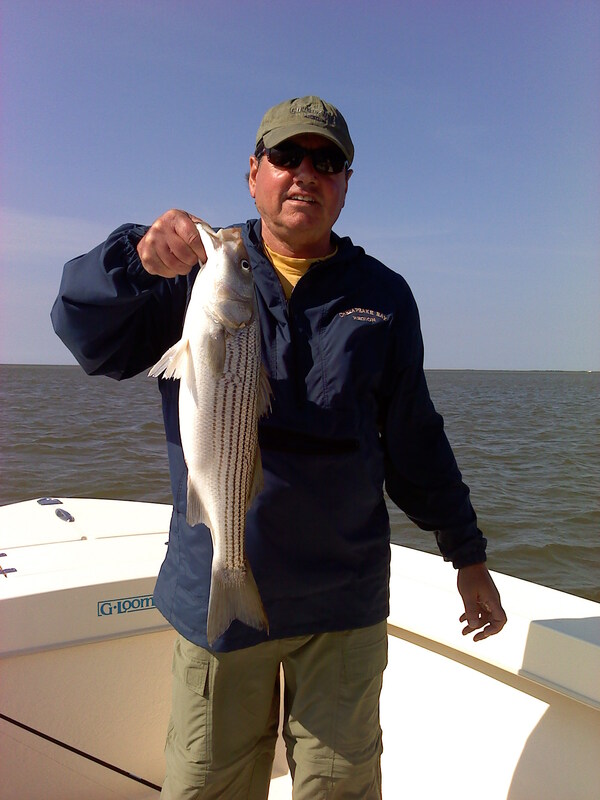 While these may not be large rock by bay standards, on the flats of Tangier Sound they really put up a battle on light tackle. Four inch shad tails and Storm Shads have been the ticket for spin fisherman, while the fly anglers have enjoyed success with Clouser Deep Minnows and Cactus Striper patterns in white, chartreuse or a combination of same (what else). Catches of twenty to fifty per day have been the norm, with the higher numbers being had earlier last week. Still no specks for me but I’m hoping that will change soon. Posted are a few photographs of this past week’s action.